Lancaster, PA, April 1, 2016—Armstrong Flooring made its official debut as an independent, publically traded company today. Leaders of Armstrong World Industries “…have said the division will allow each company to sharpen its focus without having to compete against the other for corporate resources and attention,” according to Central Penn Business Journal. Plans for the split were first announced in early 2005. 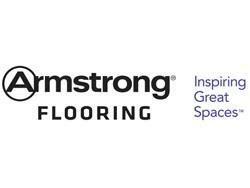 Armstrong Flooring will trade under the ticker symbol AFI. Next: Metroflor rebrands under the tagline “The LVT Specialists”. 4.Alan Cross from Kerridge to oversee North American Operations.